Paper Weight 60gsm, 70gsm, 80gsm, 90gsm, 105gsm, 128gsm, 157gsm, 180gsm,190gsm, 200gsm, 230gsm, 250gsm, 300gsm, 350gsm, 400gsm, etc. 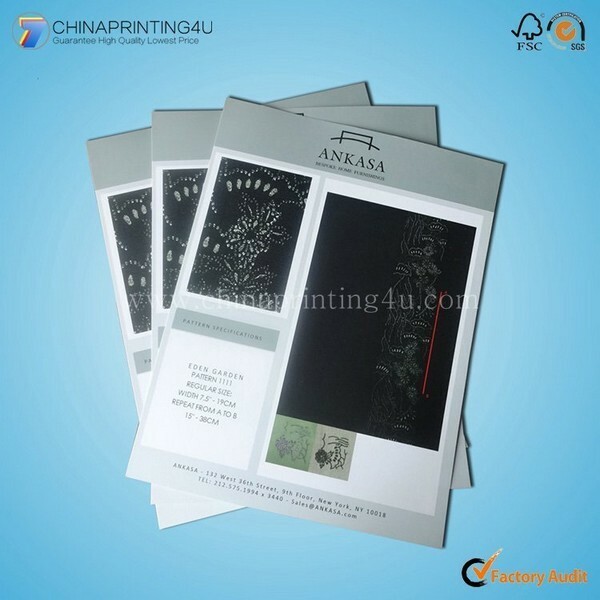 Paper Type C1S / C2S Glossy Coated Paper, Matt Coated Paper, Cardboard, Woodfree Paper, Offset Paper, Kraft Paper, Special Paper, Corrugated Paper, etc. Color CMYK (Full Color), Pantone. Finishing Gloss / Matt Lamination, Gloss / Matt Varnishing, Hot Stamping, UV-coating, Embossing / Debossing, Die-cutting, Perforation, Round Conner, etc. Binding Case bound (Hardcover bound), Perfect bound (with section sewn), Saddle stitching, Spiral bound (Wire-O bound). Are you manufactory or trade company? 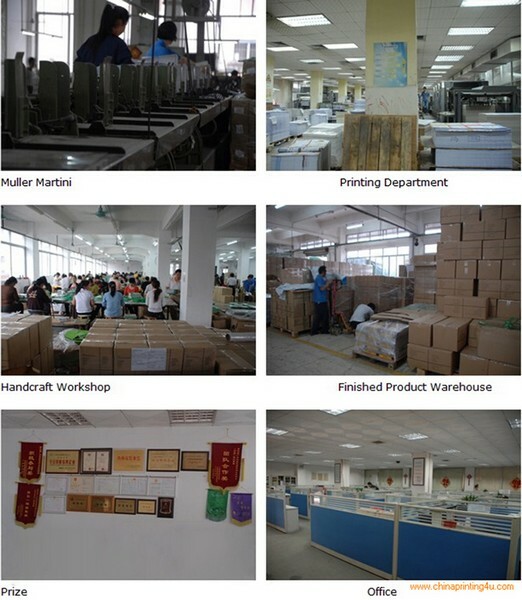 We are a professional manufacturer with more than 10 years’experience in Longgang Town, Wenzhou City, China. How and how long can I get the samples? 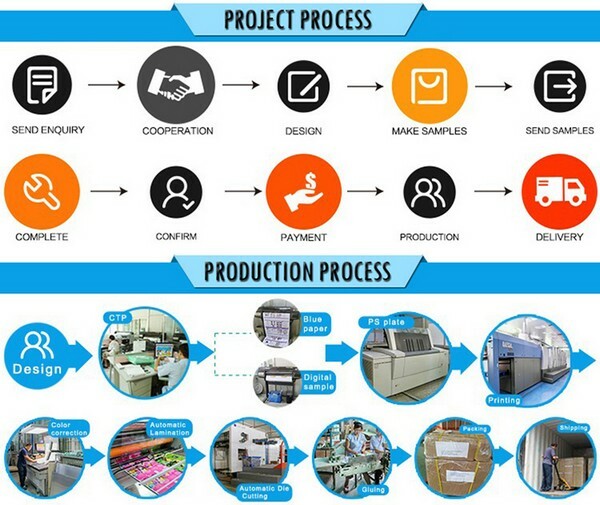 1) The sample fee is free if it is our design, but you need to pay the freight. Also we can make sample according to your design and your requirements. But sample cost will be needed. Usually sample cost can be refundable after you place the order. 2) The samples time is about 5-7 days. Moreover, it will take about 3-7 days to arrive to your place. How much the transportation freight of samples? It depends on the weight and packing size and your area. I will check it for you before sending the sample. What is the difference between matte and glossy finish? 1) Matte is a dull finish without gloss or shine. 2) Gloss is bright with shine. Can we have our logo or company information to be printed on your products or package? Sure. They can be shown on your products by Hot Stamping, Printing , Embossing, UV Coating, Silk-screen Printing or sticker a label on it. 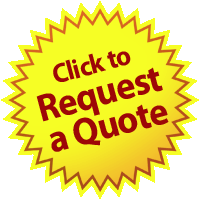 Please send us your purchase order by Email, or we can send you proforma invoice for your confirmation. Information as below is needed. 2) Shipping information: Your company name, Phone&Fax number, Address, Destination port.